Are you ready to start enjoying fresh, healthy meals on a schedule that works for you? We thought so! Getting started is easy and just takes a few minutes. And because there’s never a contract with Healthy For Life Meals, you don’t have to worry about locking in for any length of time or to any particular plan. 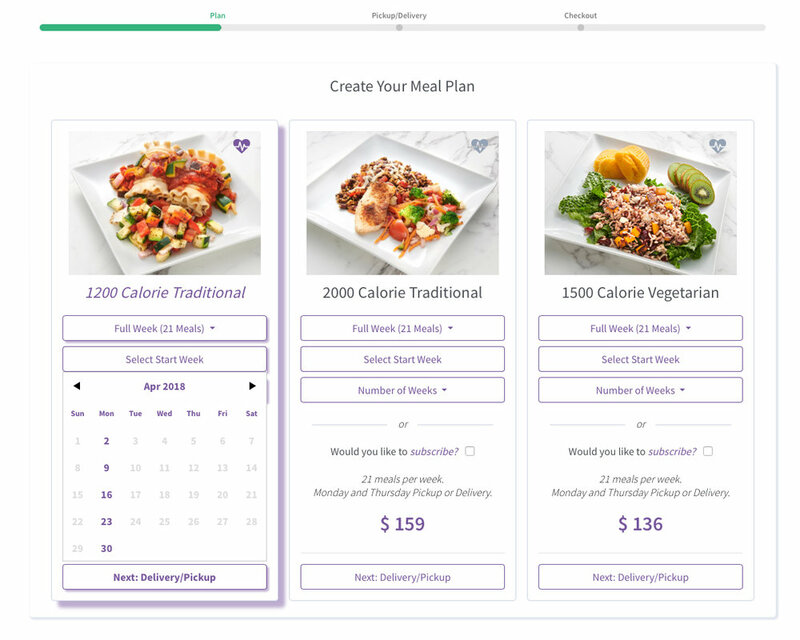 Use our Help Me Find a Plan tool to decide which of our three plans (1,200- or 2000-calorie traditional menu or, 1,500-calorie vegetarian menu) is right for you. Select our recommended 21-meal plan (7 breakfasts, 7 lunches and 7 dinners) or one of our partial plans: 12-meal plan (first part of the week) includes 4 breakfasts, 4 lunches and 4 dinners; 9-meal plan (second part of the week) includes 3 breakfasts, 3 lunches and 3 dinners. All of our weeks begin on a Monday — just select the date that’s right for you. Keep in mind that the deadline to place a standard order each week is Thursday at 7pm (CST/CDT) for the following week's meals, and our deadline to place a customized order each week is Monday at 7pm (CST/CDT) for the following week's meals. 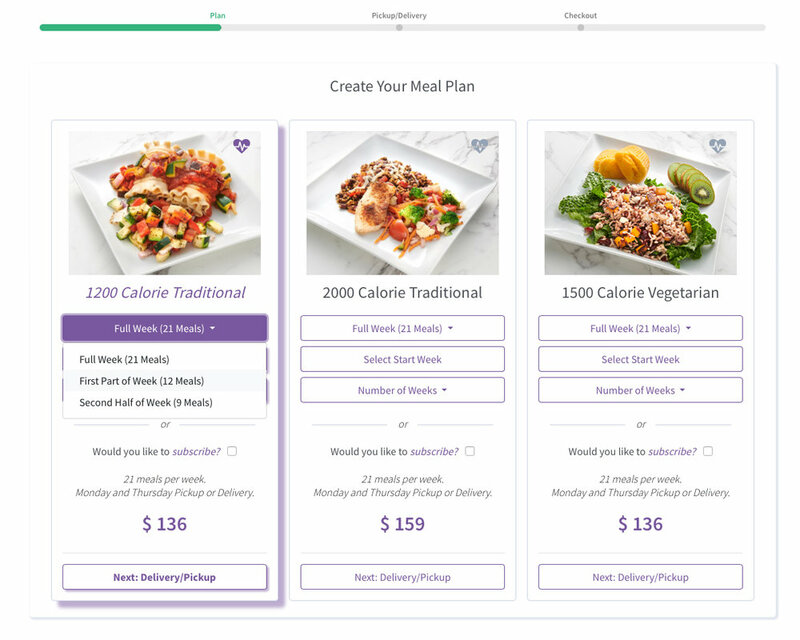 You'll have the option to choose from 1 to 4 consecutive weeks' worth of meals from the Number of Weeks drop down menu. 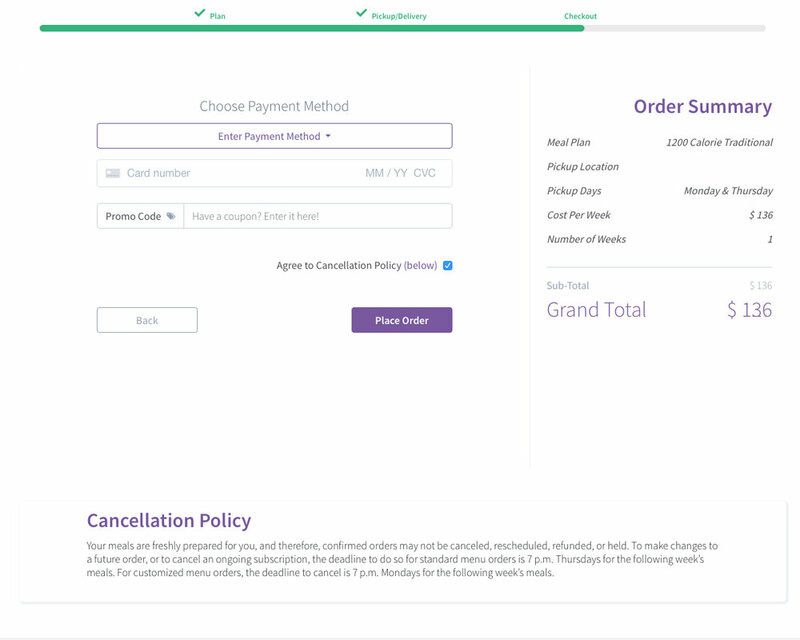 If you'd like your order to automatically renew each week, choose our Subscribe option and your order will renew weekly until you choose to cancel it. 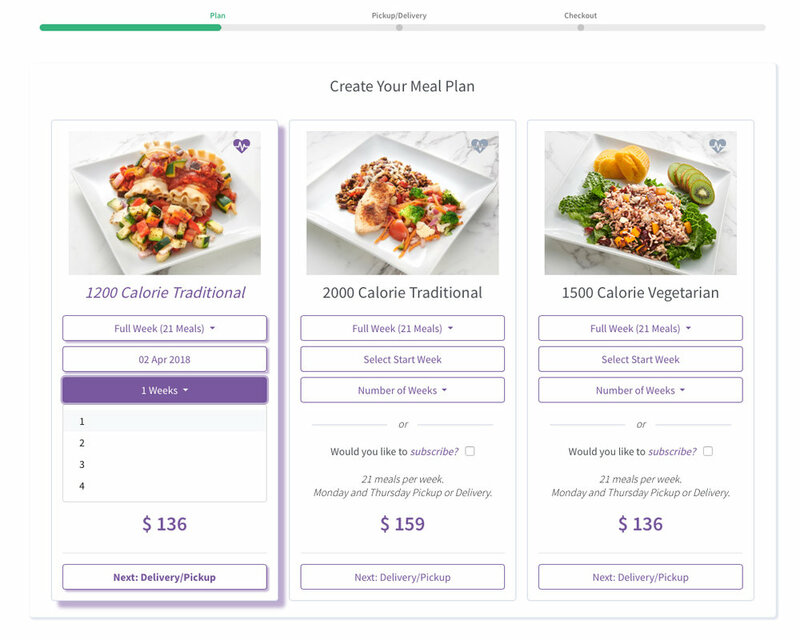 After making your menu choices, select the "Next: Pickup/Delivery" button. For details on pickup hours and our delivery process, check our FAQs. Enter your payment information. Submit your order. That's it!